No doubts that 2015 Tokyo Motor Show presented series of futuristic concepts that gave a remarkable sneak into the future of automotive world. In lieu to same, Lexus introduced its Lexus LF-FC Concept 2015. The concept is adorned with impressive styling and a well designed interior with an efficient powertrain. 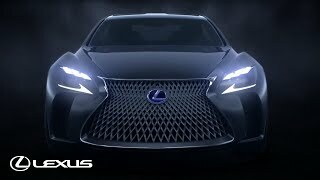 Let us have a look at the review of Lexus LF-FC Concept 2015 to know in detail. The interior of Lexus LF-FC Concept 2015 is the major pros of the concept. The spaceship-like interior features LED lighting that gives a smooth essence to the ambient. There is a big screen running across the dashboard while the holographic display supporting gesture controls is a superior inclusion. The interior isn’t just about tech features but it also has lots of legroom for the rear passengers also. The reclining bucket seats integrated at the rear end assures with the upholstery and the pop-out foot rests. In all the interior details of Lexus LF-FC Concept 2015 are remarkably worth all the attention with its features, comfort and looks, coming with wood and leather work. The exterior of Lexus LF-FC Concept 2015 will portray a large design. A design that is larger than most of the production versions company showcased recently. The design language, unlike its interior is similar to the recent releases by company and thus I accept the production version to be same as the recent releases. The lighting houses gets new aggressive design both at the front and rear while the roof line slopes in a way giving car a ‘four-door-coupe’ like structure. 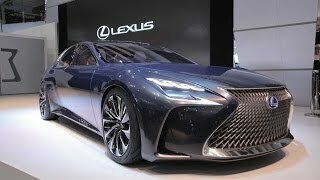 In all defining the exterior details of Lexus LF-FC Concept 2015 I would just say, it is good with its looks and the new changes make it look more luxuriously aggressive. 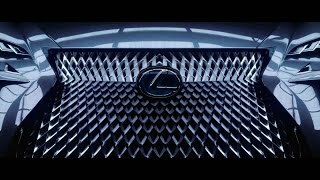 Powering the Lexus LF-FC Concept 2015 is a hydrogen fuel cell. The concept will come as an all-wheel drive model. 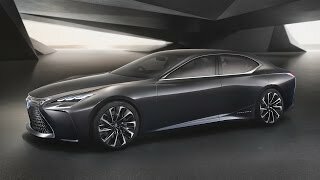 The performance figures of Lexus LF-FC Concept 2015 and the power output is not yet revealed but we expect satisfying power output for a luxurious ride that we can have from a regular gasoline and hybrid models.